If you’re ready to be on the competitive edge, our design team is highly qualified to advance your company to the next level with proven to strengthen your identity. We are excellent in giving continuity to previously fragmented identities, helping organizations take the reins back on the equity and visibility of their brand. Whether you’re just looking for a logo, stationery, or a company facelift, we create identities that make a statement. So let's rebrand you or create your new brand & identity in a professional way. Our graphic design team has a combined +10 years experience in creative design. Admark has delivered a wide range of work including magazine design, newsletter publications, book design and illustrations, leaflet design, wedding stationery production, calendar design, business cards, flyers, brochure design, e-mail newsletters and e-flip brochures. Keeping design and print under one roof provides convenience, speed and continuity therefore streamlining the process for all of our customers. So let's give you a facelift – So to speak! We produce much more than just a corporate DVD, graphic sales presentation, training video or a few high quality web pages for clients. We organize client information, supplying the marketing tools and business intelligence needed to make their next production a winner. Working together, we help clients discover powerful new ways to communicate with their target audience, creating brand awareness, greater influence, and motivating them to change. We start production by gathering and brainstorming the necessary intelligence on the client’s company, and collectively working out how we will collaborate to design the best sales presentation that ever hit the client’s industry. Once we pool our ideas and fine-tune our creative juices, we sit together and develop the script for the client presentation. We challenge and support each other in a healthy way. We can’t always promise it will be a simple process or an easy ride, but it will be successful because at the end, they’re on a plate for all to see, and will set the stage for high expectations. Eventually we write it all up for the client . If a client presentation looks more complex because of spoken voice or video or special animation or graphics, then we hold a longer storyboard meeting to iron out all the additional logistics. Then we can finalize the graphics needed for the client presentation. Before we initiate the design process, we send sample artwork clearly demonstrating our expectations. The Client has the opportunity to comment and approve the final deliverables. Once this is done, the client can confidently rely on our designers to complete the presentation. While we can stream the final viewing to the client, wherever possible we prefer to meet and make absolutely sure everything is up to the client’s standards, and the presentation is delivered as per the client’s expectations. Once the Rough Cut version of the presentation is approved, we complete all the various versions. If this is the level of presentation service you’re looking for, then Contact us now. From advertising copy to technical manuals, we offer a full-range of services to turn your prospects into customers and your customers into loyalists who will champion your product. Before you start your next print or online project, please consider talking to us about how our easy approach to content development can cut costs, raise your productivity, increase sales and customer loyalty, and improve your marketing returns. Beyond our comprehensive catalogue of writing services, we also retain the talents of experienced art directors, designers, sales consultants, translators, and web specialists to offer first-in-class strategy and design to augment the marketing content we develop. Admark offers two types of printing; Offset and Digital. Offset involves setting up a printing plate to create the first copy, whereas Digital does not require printing plates of any kind to be developed. 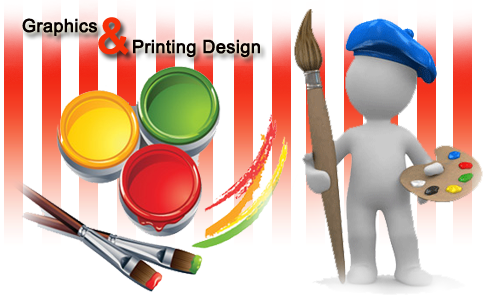 Our experienced team will be more than happy to explore the best option of printing and finishing to meet clients’ needs. We will balance client requirements for speed, cost and quality to provide them with the best option for commercial printing. So let's discuss your printing needs. Contact us for more info.